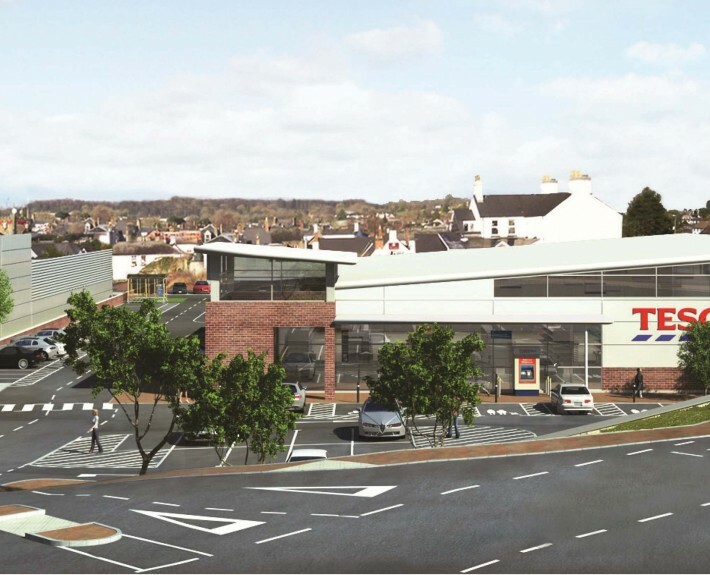 HLN Group have been appointed by P&D Builders Ltd to provide architectural and engineering services for the development of a new Tesco supermarket and alterations to an existing shopping centre in Coleford, Forest of Dean. The design for the store is contemporary whilst aiming to reflect the character of Coleford through its integration of traditional local materials. The form of the store developed from a desire to acknowledge the topography of the existing site via its mono-pitch roof design, which in turn contributes to the environmental credentials of the store by creating a north light solution allowing daylight into the store without the problems of heat gain and glare. Planning Permission was granted following a Planning Inquiry in October 2013 at which HLN provided primary architectural evidence on behalf of the developer and Tesco Stores Ltd. Detail design is now underway in relation to the store with start on site planned for April 2014, with the store due to open in November 2014.